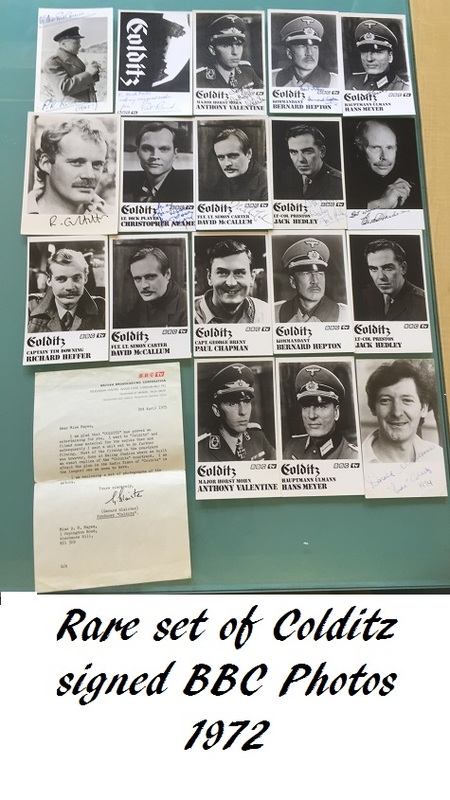 A rare set of signed promotional photos for the cast of Colditz (1972) . A very desirable collection for Colditz fans. 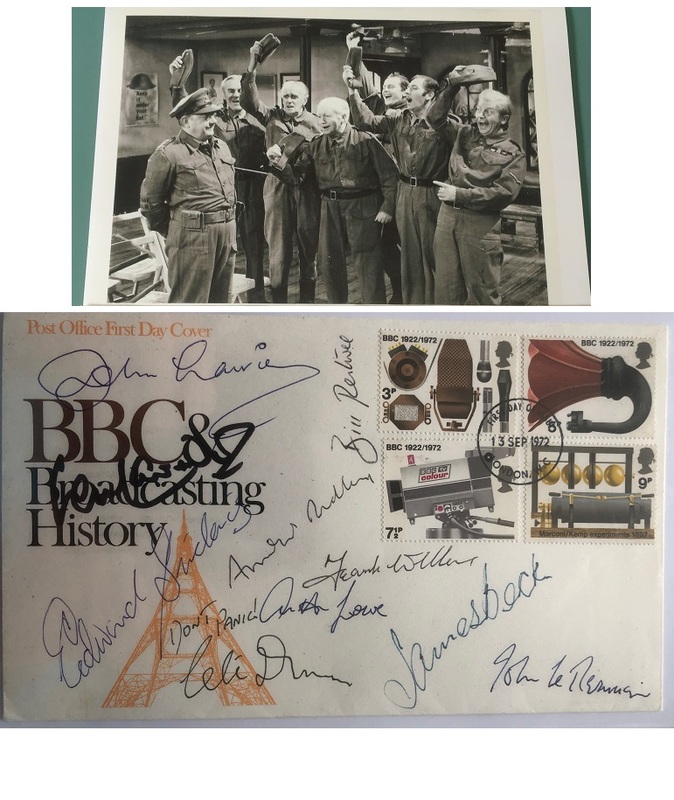 Comes with signed letter from Gerald Glaisters BBC office (producer) which accompanied the set of Colditz photos. The letter also has information about filming the TV Series.